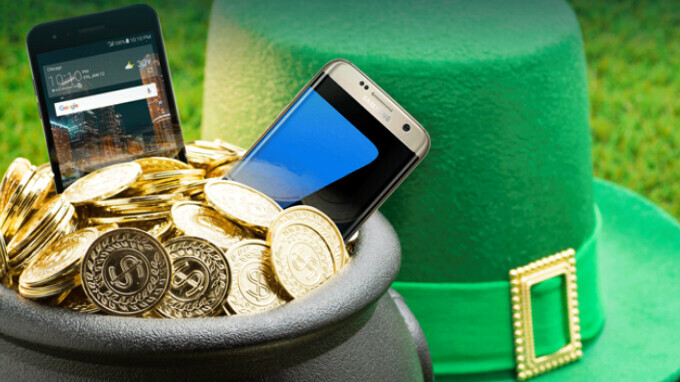 Boost Mobile, one of Sprint’s prepaid brands, has a pretty cool Saint Patrick’s Day Promotion that allows customers to save 15% on any new Android phone. Of course, we’re talking about any phone from the ones that Boost is currently selling. Included here are the just-released Samsung Galaxy S9, or the older (but still powerful) Galaxy S8. In case you’re wondering, the S9+ and S8+ models are not available at Boost. To get 15% off the Galaxy S9 or any other Android smartphone, you need to visit Boost Mobile’s website and use the promo code LUCKY at checkout. Normally, Boost Mobile is selling the Samsung Galaxy S9 for $699.99. With the promo code, you can get the new flagship handset for just $594.99 - this is the most attractive Galaxy S9 deal we’ve seen thus far in the US. Assuming you want a Galaxy S9, and you're not tied to any particular carrier, this is an offer that you should seriously consider. Boost Mobile’s Saint Patrick’s Day Promotion is available until tomorrow, March 19, or while supplies last. You can find more details on this by visiting Boost’s official website via the source link below. Nahhh, Boost phone is fine only if you love Sprint. I cant trade cheap for the convience switch SIM and good to go instead call in blah blah. CDMA technology is has it advantages but disadvatages out weight advantage so I think it need to died off. Sprint is slowly becoming all LTE (an evolution of GSM tech). They still have a cdma network but will be taking it down at some point like most providers. The phone will have a SIM card as all LTE phones do. You do realize GPS uses cdma technology right? @antroid It's not unlocked. Boost lets you unlock phones after 1 year though. I knew they will have hard time selling this phone.